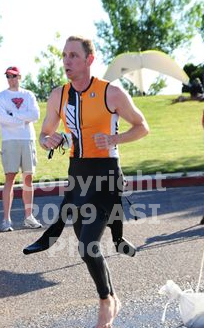 >Last weekend was the Boulder Peak Olympic distance triathlon. My bike still needs lots of work and I feel like it always will. The most exciting thing was that I hit a fox going about 35 mph down the back side of Olde Stage Rd. He jumped out right in front of me and I clipped his back end. My front wheel wobbled and I screamed as I wondered which side of my body was going to get the worst road rash. Things worked out and I didn’t crash. I looked back and saw the fox lope across the road. Looks like we both made it! I was probably a bit more cautious after that than I would have liked to be. Nearly at T2 three guys were riding side by side and a car was trying to pull out perpendicular to them. I passed them as the car nearly took us all out. One of the guys crashed into my rear wheel. We both stayed upright and almost doesn’t count. So a couple of close calls and I was happy to be out on the run. I ran hard and passed more people than passed me. My run kept me just under 7 minutes per mile and I am very happy with that. Today I rode my bike and I look forward to the 70.3 next month! 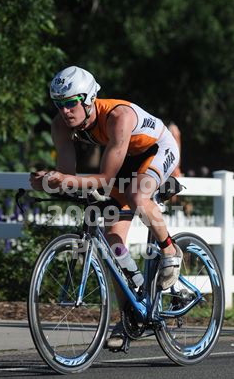 This entry was posted in bike, Boulder, race, run, swim, triathlon by Rory. Bookmark the permalink.